Posted on March 6, 2017 at 2:59 pm. Do you know what Supported Employment is and how it can help you and your business? Supported Employment Solutions have created a new Employer Leaflet which will explain more. 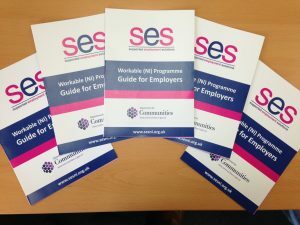 Feel free to download from here or email workable@sesni.org.uk for more information.